As we approach the upcoming 2018 & 2019 membership, there are many exciting things happening with the Fairways Golf Membership. Your new 2018 & 2019 Fairways Golf Member Card will be available for pickup at Mallard Creek Golf Club beginning on November 15, 2017. 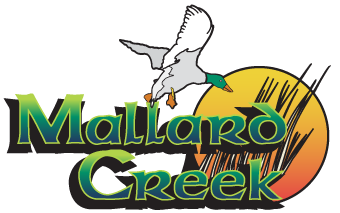 Mallard Creek is open daily from 6:30 a.m. – 6:00 p.m. Questions, comments or concerns? Let us help! Please give us a call at (440) 748-8231 or message us at Info@FairwaysMembership.com and we will get back in touch shortly. Cart Cards, a fan-favorite since we introduced them, are back for 2018 and they’re better than ever. For the first time ever, Cart Cards are now valid at all of the Fairways Partner Courses instead of being sold on a course-by-course basis. This way, it’s even easier for you to get the most out of your Fairways Golf Membership. Cart Cards will go on sale beginning November 15. Click here for more information. Renewal Bonus: The renewal bonus items are also available for pickup at the time of picking up your Member Card at Mallard Creek. Members who renewed their membership by Friday, October 6 at 11:59 pm will receive both a Fairways Golf Member hat and a Cart Card good for 4-punches at any of the Fairways Partner Courses. Prior to October 16, New Member Joining Bonus: As a thank you for joining the Fairways Golf Membership for the next two seasons and a means of welcoming you to the club, you will also have a Fairways Golf Member hat available for pickup at Mallard Creek. Did you enjoy your current Fairways Membership? We hope you enjoyed playing Unlimited Golf with your current Fairways Golf Membership as much as we enjoyed bringing it to you! If you would like, please feel free to head on over to our Product Page and leave us a review. Or, feel free to leave some reviews on our Facebook Page or Google. For all of the reviews left between now and December 2nd, we will pick three lucky Fairways Members to receive a FREE 18-Hole Cart Card – a $140 value! If you leave a review on our Product Page, Facebook and Google, you will receive three entries into this giveaway. Members: If you have not been receiving email updates to your inbox, please add Info@FairwaysMembership.com to your contacts or address book.